On a trip to several of Europe’s great museums, I was studying how renaissance artists depicted saints and spiritual masters. They are often being adored by the people and in a pose of heroic proportions. I had no idea who these saints were or what earned them their status. But it did spark an idea to portray modern day characters in a similar vein. The idea being that most every human on the planet is waging a battle of some sort – either with their inherent life circumstances or more often their own imaginary dragons. 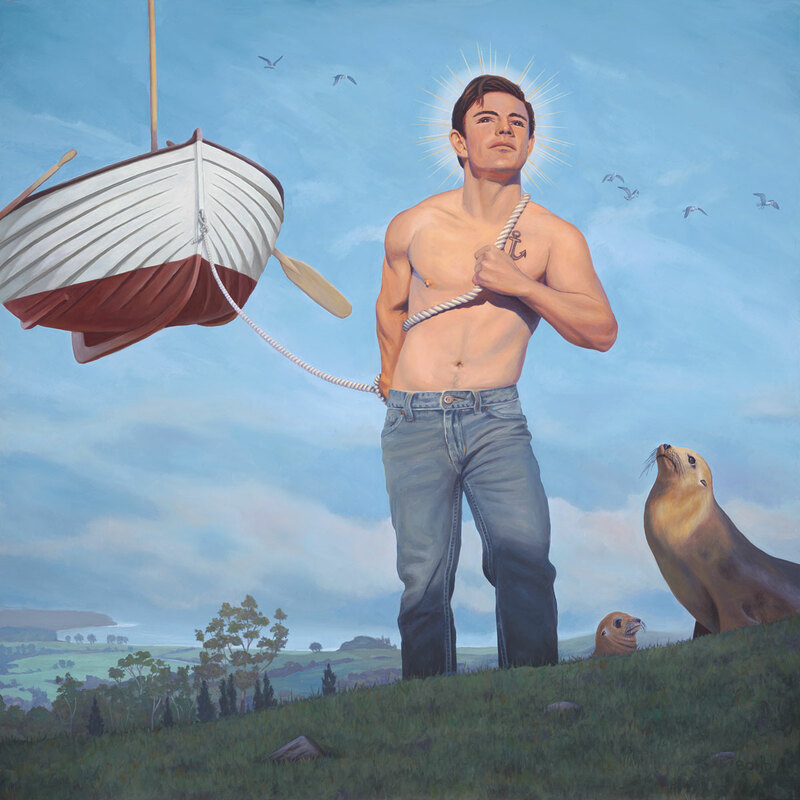 My then 19 year old son was the model for this painting and I portrayed him with the symbols of his own biographical struggle at the time, which in hindsight would probably seem silly to him. But at the time it caused him some anguish. In my world that earns him a sainthood.